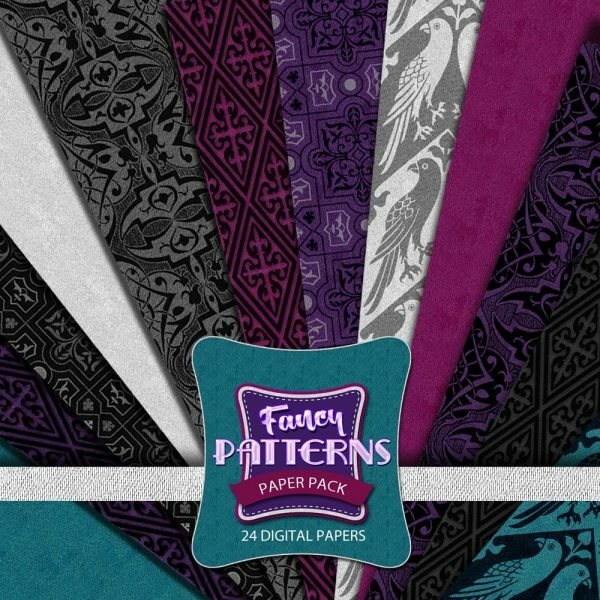 Tags: Art Deco, Art Nouveau, Digital Paper, Floral Scrapbook, floral scrapbook papers, Heart, Printable Paper, Printable Scrapbook, Ribbons fireworks, Scrapbooking Kits, Scrapbooking Supplies, Valentine. 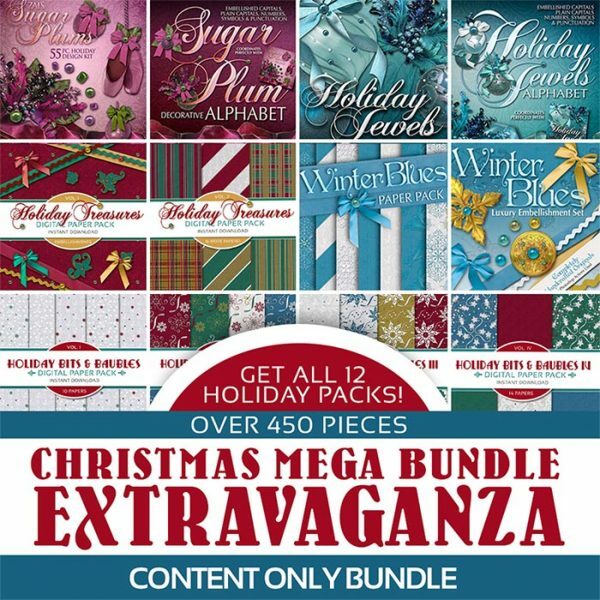 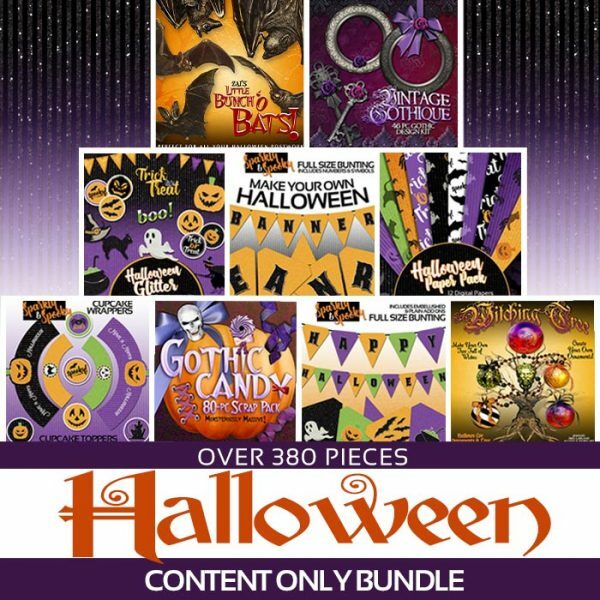 INCLUDES 9 PACKS IN ONE GIANT SUPER VALUE VARIETY CONTENT BUNDLE SCRAPBOOKING KIT! 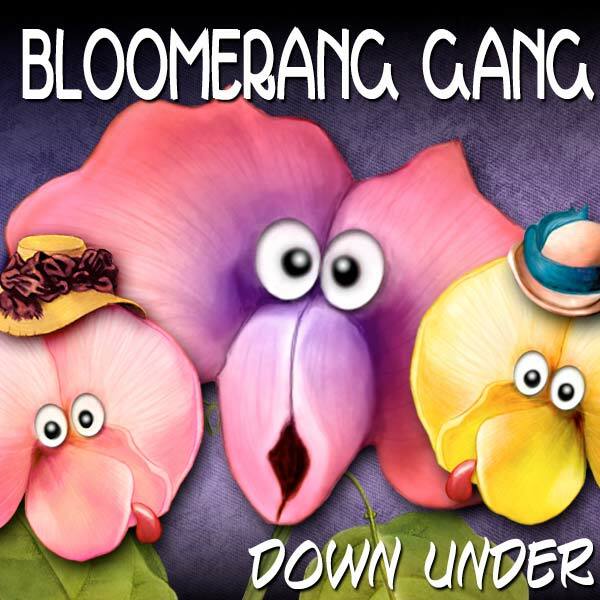 Created from original photos of False Sarsaparilla, the Purple Coral Pea of Australia which is known as the “Happy Wanderer”, these tiny flowers have a big personality! 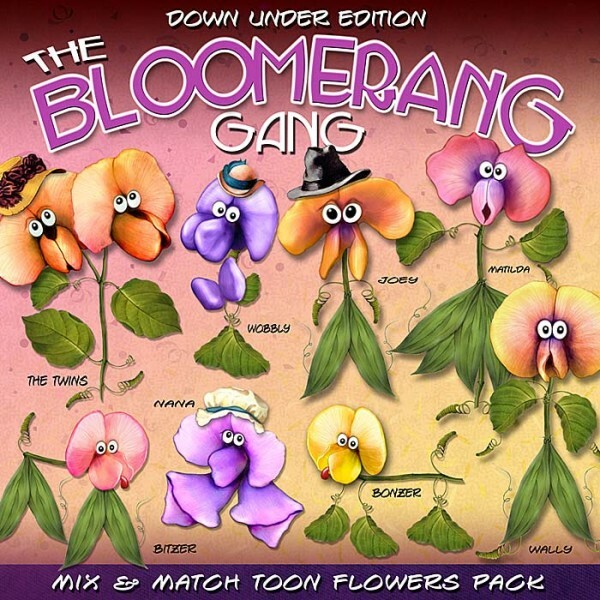 Originally only 1/4″ in size, these miniature flowers have been enlarged and hand-painted to bring out the beauty and fun of the land down under. 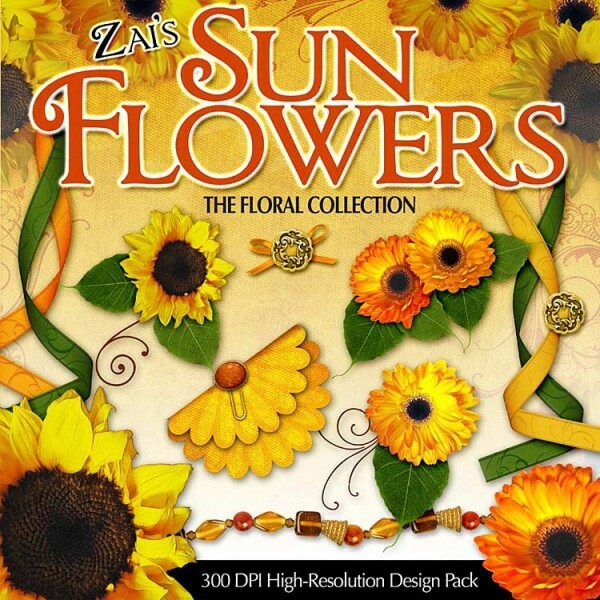 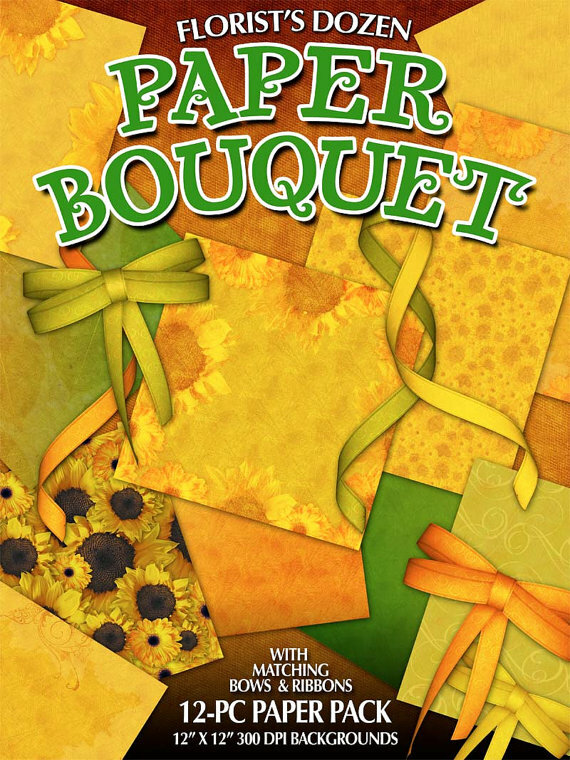 This Sunflower Scrapbooking Kit will be a cheery addition to your digital scrapbooking library. High-resolution print-quality decorative embellishments ideal for scrapbooking, texturing, and postwork. 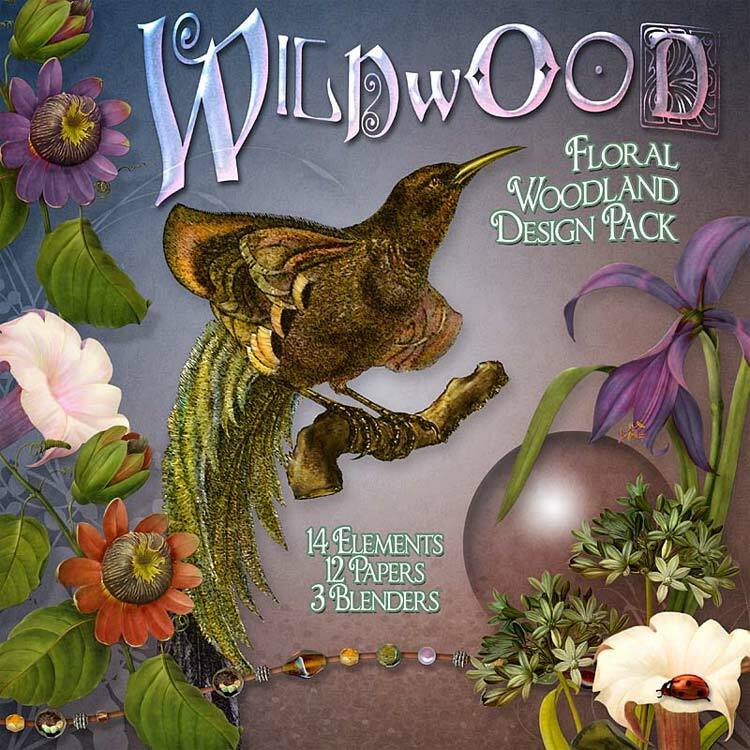 A floral-themed woodland design pack filled with hidden beauties. 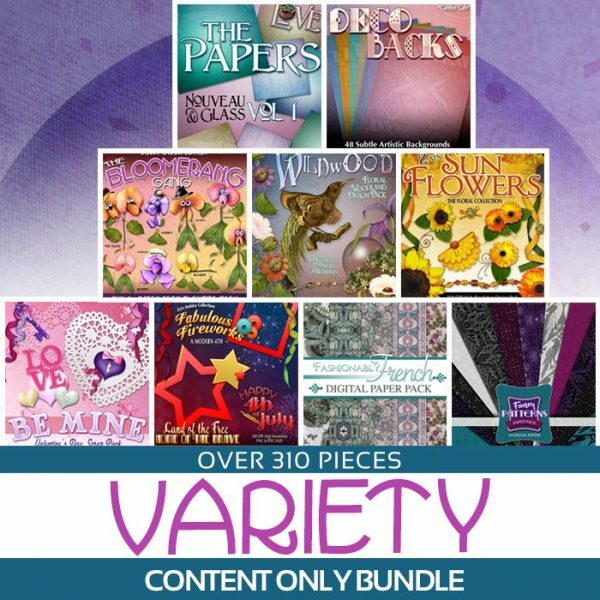 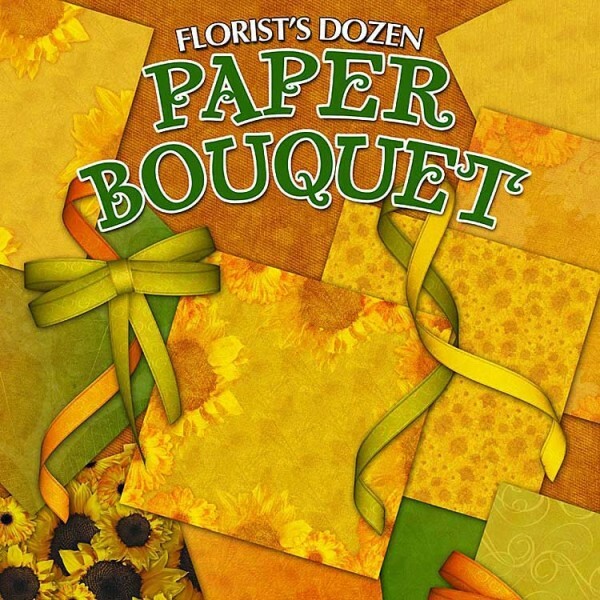 From ladybugs to butterflies, passion flowers to jimson weed, you’ll find a cornucopia of Autumn goodies to fill your artistic basket with this scrapbooking kit. 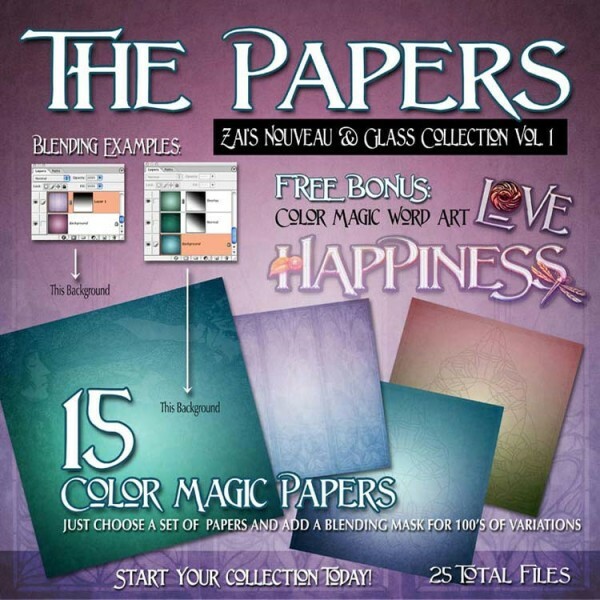 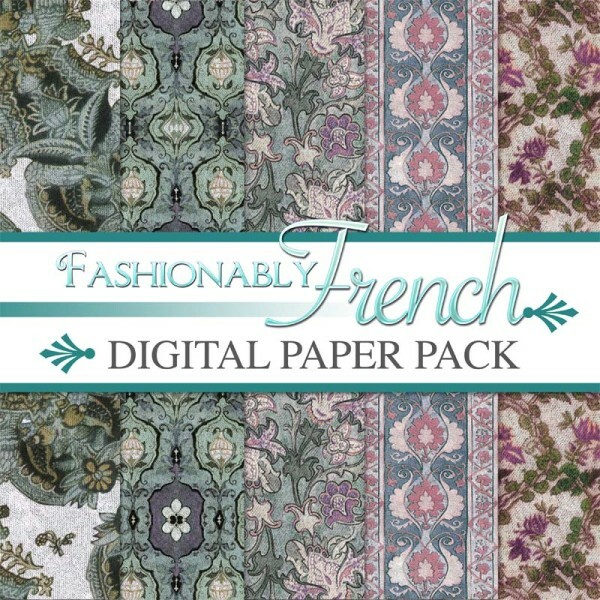 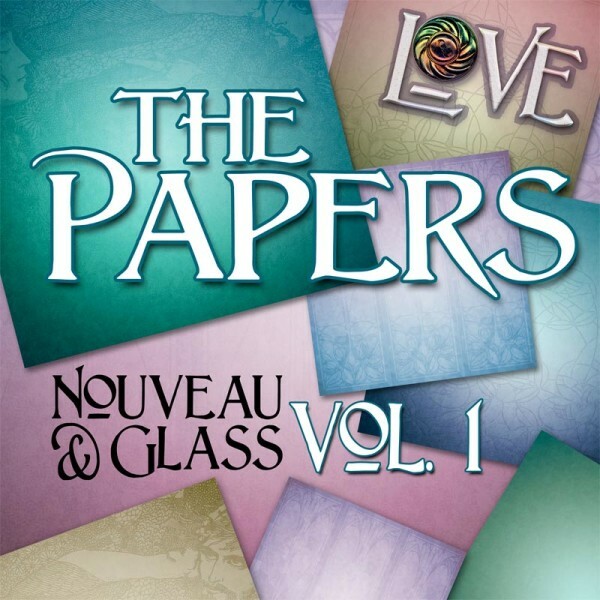 Part of the fantastic ‘Nouveau & Glass’ Collection, this 25-piece scrapbooking paper pack will make a fine addition to your scrapbooking library. High-resolution print-quality decorative scrapbook papers in shades of teal rose, cornflower blue, amethyst and parchment in deco and nouveau styles are complemented with lovley word art phrases for a beautiful scrapbook layout every time! 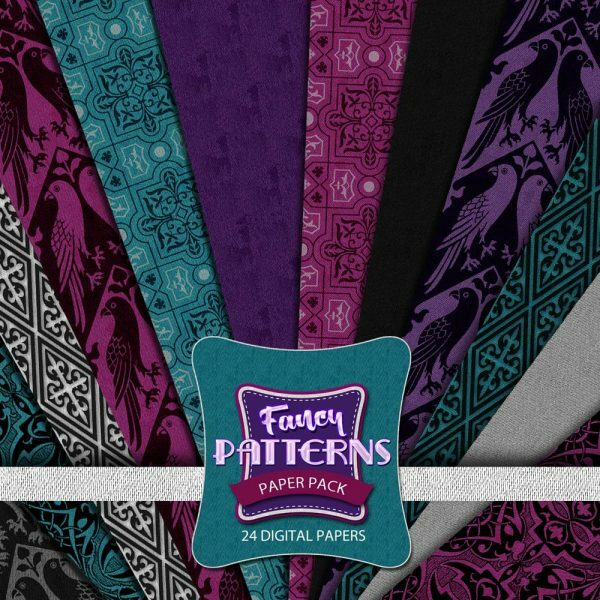 Fancy patterned papers in hot gem tones are here! 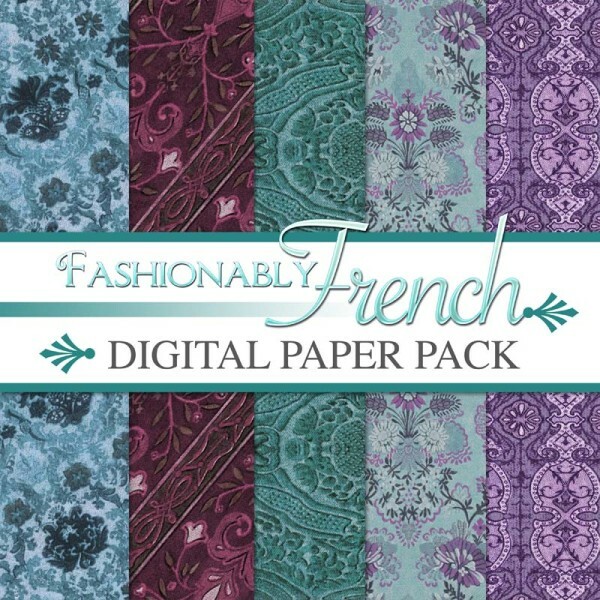 Each intricate paper comes in several color variants in vibrant Violet, Candy and Teal, PLUS Greys, Blacks and Whites. 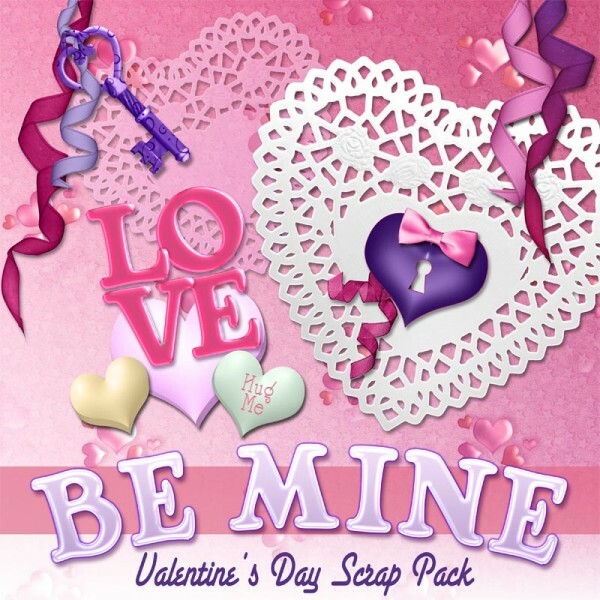 Inspired by the art of love, the Be Mine! 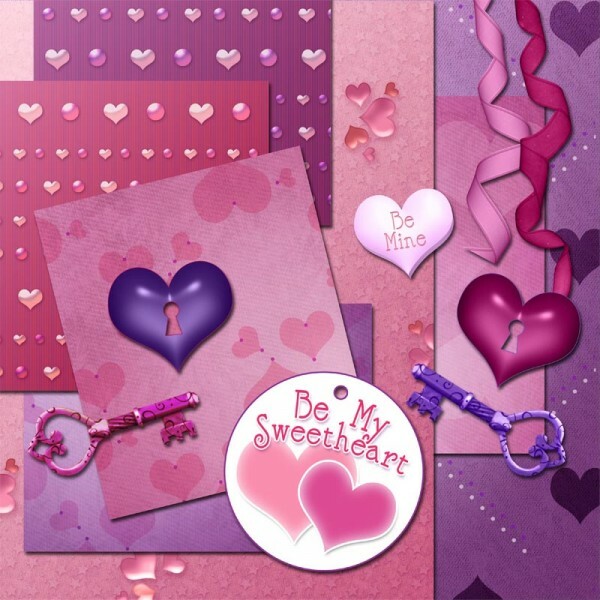 Valentine’s Day Scrapbook kit is an absolute must for anyone wanting Cupid’s Arrow to grace their favorite holiday memories. 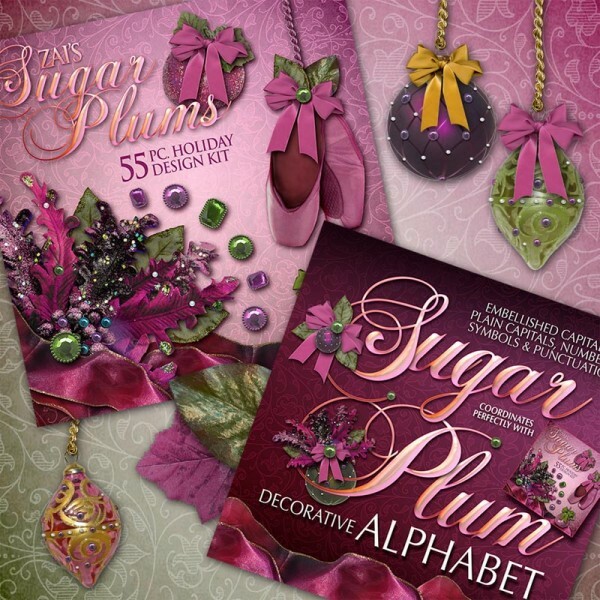 Just like love, this kit is eternal! 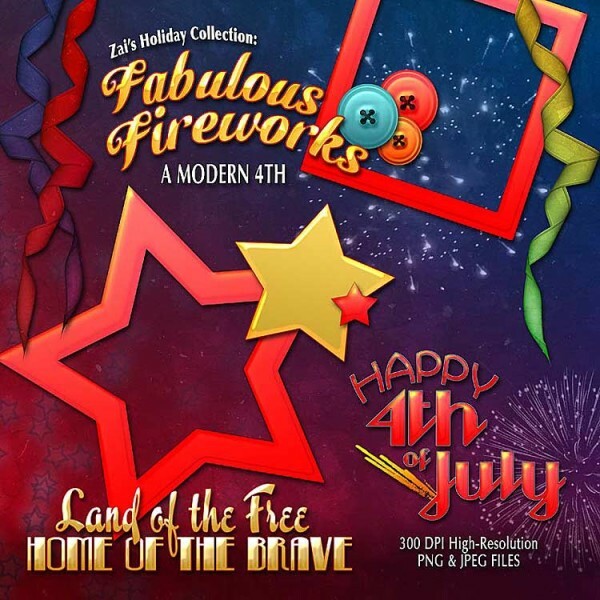 Part of the essential “Holiday Collection”, this all-star salute to America is perfect for all your 4th of July needs! 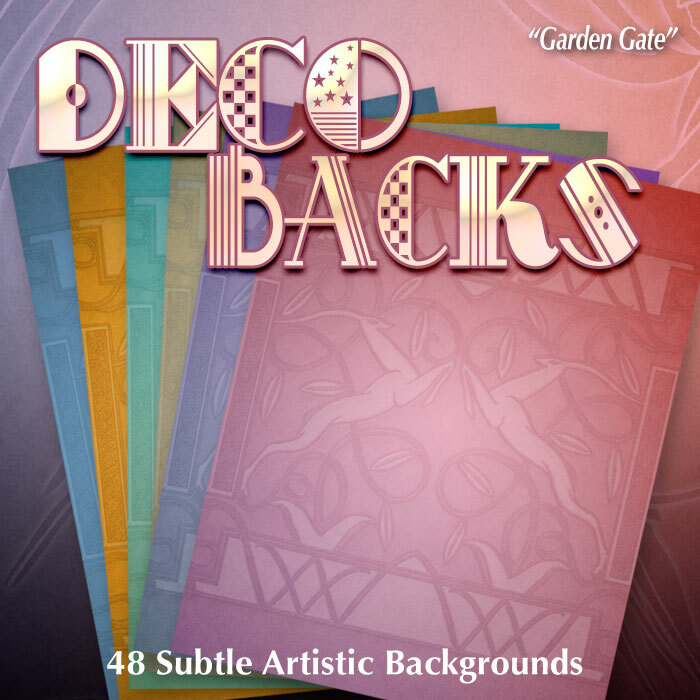 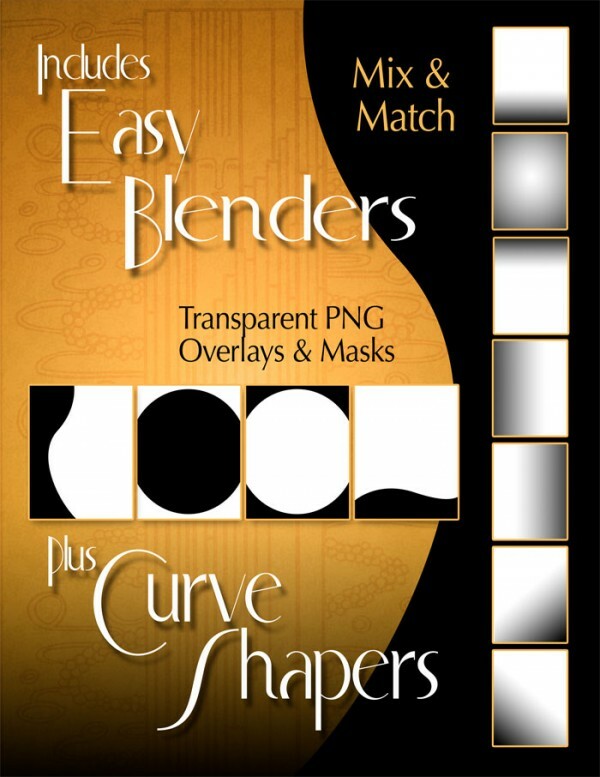 High-resolution print-quality decorative elements ideal for design, scrapbooking and postwork.